In April 2014 we were contacted by the owner of the largest chain of language schools specializing in individual teaching – CJO MOOSE. The client wanted to have their website remodeled, as it failed to meet today’s standards. 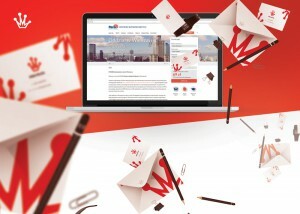 At first, the aim was only to redesign the website and add RDW (responsive web design) layout. However, works that were made transformed the site into a comprehensive sales tool that offered considerably more than a showcase. This is what Frogriot excels at – we offer complex apps aimed at selling, combining demand with products and promoting interaction. Our research had indicated a considerable niche on the language school market – no school would dare to go one step beyond bare bones presentation of their offer. This approach completely disregards the elements of successful sales and processes that occur within. The client’s target group was males and females aged 10-35, which makes it possible to employ modern solutions that will translate directly into the company’s success. We presented our conclusions to the client and what quickly followed was the creation of the first (and probably still the only one) Polish language school website equipped with a comprehensive sales process. We started with categorizing our client’s language courses and thoroughly examining their offer to fully understand it. The analytical phase also included getting fully acquainted with the company’s several years of history by consulting the stakeholders and analyzing Google Analytics data. We also familiarized ourselves with the results of marketing campaigns, with particular focus on Google AdWords. Based on this, we came up with an idea for a site that we later took through UXD (user experience design) process. We designed task models and funnels according to the knowledge we obtained and usability testing. We created initial prototypes of views, and used them as base for final graphic designs that would change the existing outdated image of MOOSE. The new image was designed to emphasize professionalism of the company and, at the same time, drive sales and influence potential clients more effectively. Our motto is that websites are advanced web applications that support sales processes, facilitate business management and automatize a considerable number of operations. Therefore, our aim was to create a system tailor-made for MOOSE. This, however, proved to be difficult, because each franchise establishment manager had to be provided with different panels for management of content. The ability to manage sales, tutors, franchise establishments and marketing campaign support (with a dedicated module for swift creation of sales landing pages). Developing analytical modules that make it possible to measure the effects of the campaigns and draw conclusions from previous actions. Thanks to these modules, our client could for the first time in history assume complete control over all digital sales. Our client didn’t have to wait long to see the effects, as the first big season (September-November 2014) brought about considerably better results in client acquisition than in previous years, and its efficiency increased thanks to systematization of data and support provided by our system, which incorporates elements of CRM. At present, the website is administrated by several establishment managers, who value our solutions for their labor-saving qualities and improving information flow within the company. 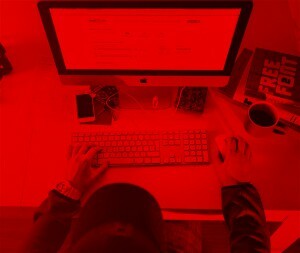 We think that a modern website cannot only exist – it needs to work for you. It should every day generate tangible benefits, streamline your work, and sometimes do something in your place. It also needs to complete specific tasks set at the beginning of the projects. 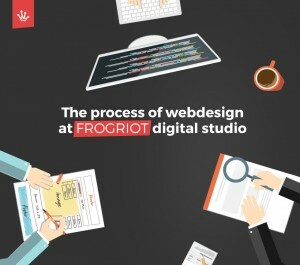 This is how we create applications in the form of webpages at Frogriot. We realize that only innovations and providing our client with interesting and user-friendly solutions can give expected result. We have completed a great deal of projects that completely revolutionized both big and small companies. When you face the necessity to develop a new app, website or store, it’s best to get the help of professionals, who will push them to their limits and show you new horizons. Our friends say that you have to aim high to reach the clouds. This is probably true, because as it turns out, sales and true effectiveness start only when we have at our disposal a tool fit for the 21st century. Otherwise you’ll always be lagging behind. The founding father and head honcho of Frogriot. Designer and user experience architect. As a freelancer he completed projects for Orange, Orsay and Agnieszka Radwańska. Chief of strategy both in business and on the football pitch – at the right moment, he made the correct decision to take up web design professionally and leave sports as a mere hobby. 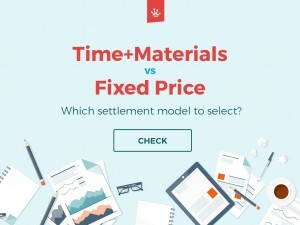 Time + Materials or Fixed Price —Which settlement model to select? 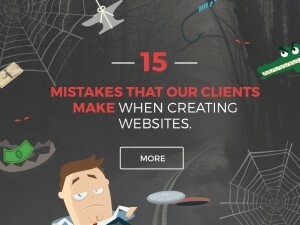 15 mistakes that our clients make when creating websites. How to avoid them and not throw money down the drain? 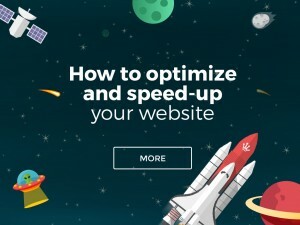 How to optimize and speed-up your website. A Complete guide. How to find a good digital agency in Poland? 2015 © FROGRIOT at your service!